Step into the Lockwood Verandah show home and take a step back in time. 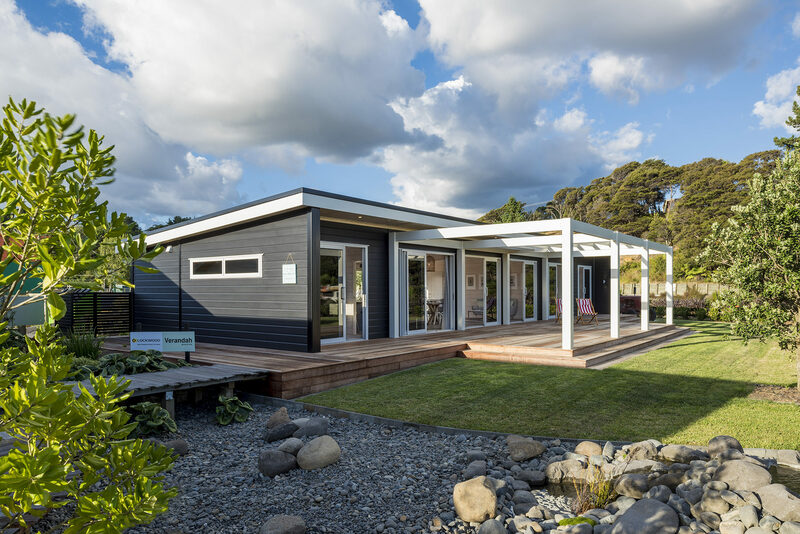 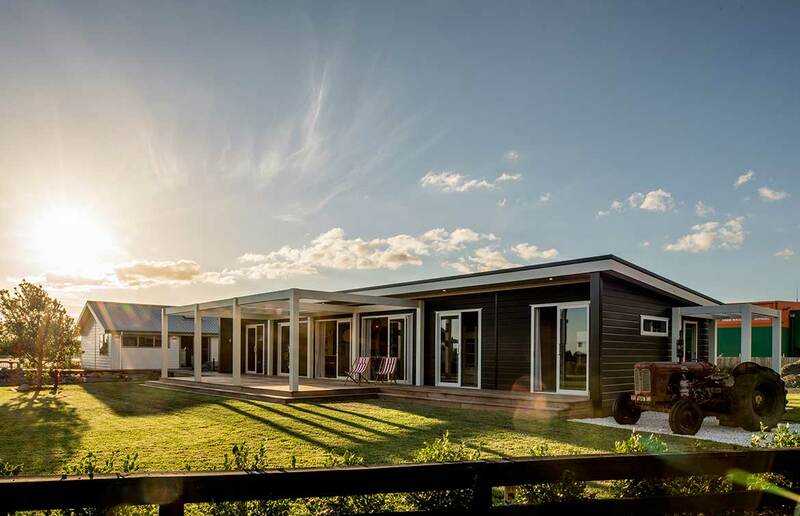 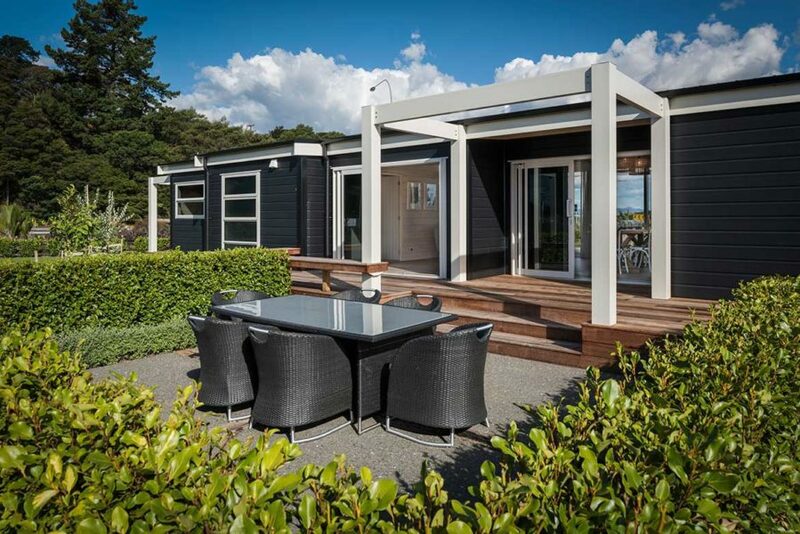 The retro kiwi bach mixes the best from the 1970’s with modern advances in building, giving you the best of both worlds. 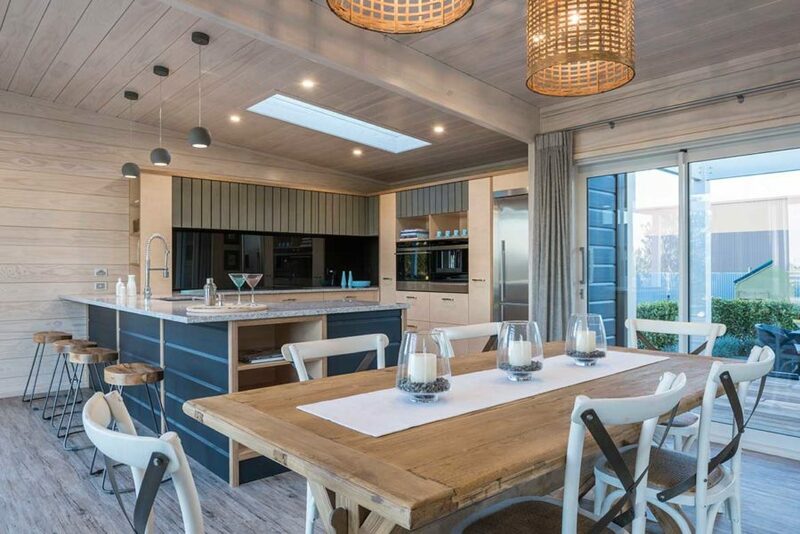 There is plenty of space in this open plan home, with two bedrooms, a bathroom and lovely laundry off to one side and the living, kitchen and private bedroom with en-suite on the other. 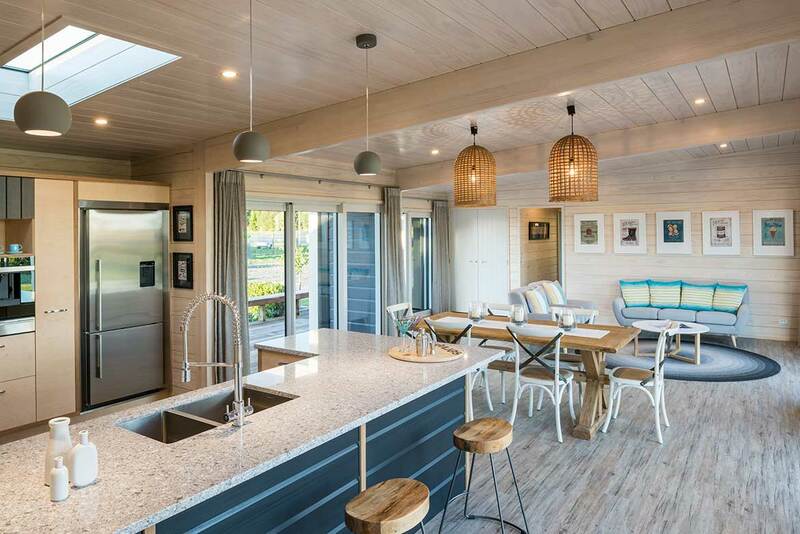 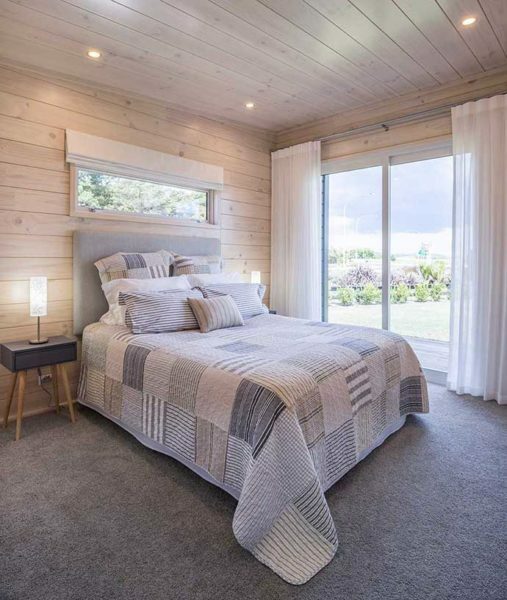 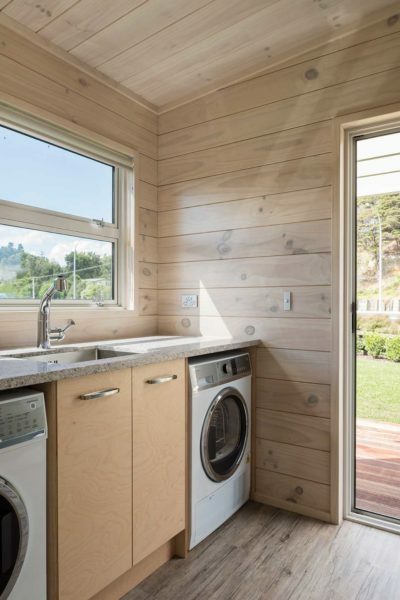 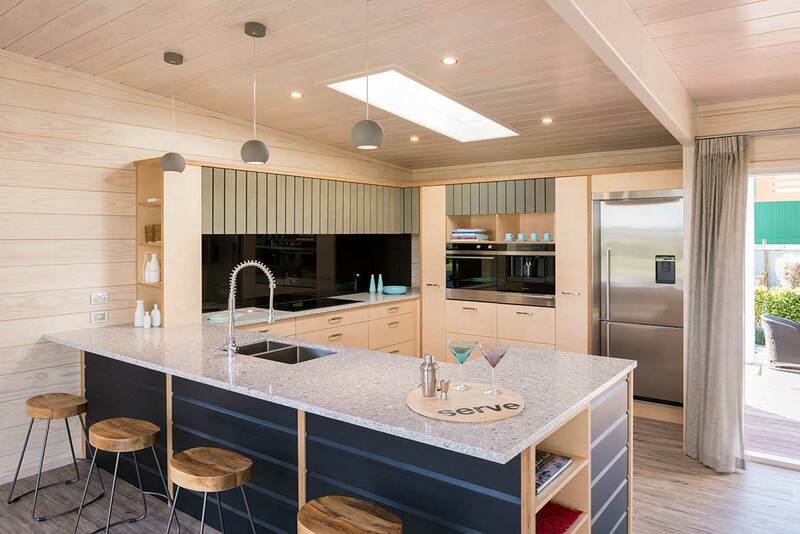 This show home has a fresh clean look to the interiors, with blonded timbers carrying a light beachy feel which is further enhanced by the selective use of clear knot free pine in the living area. 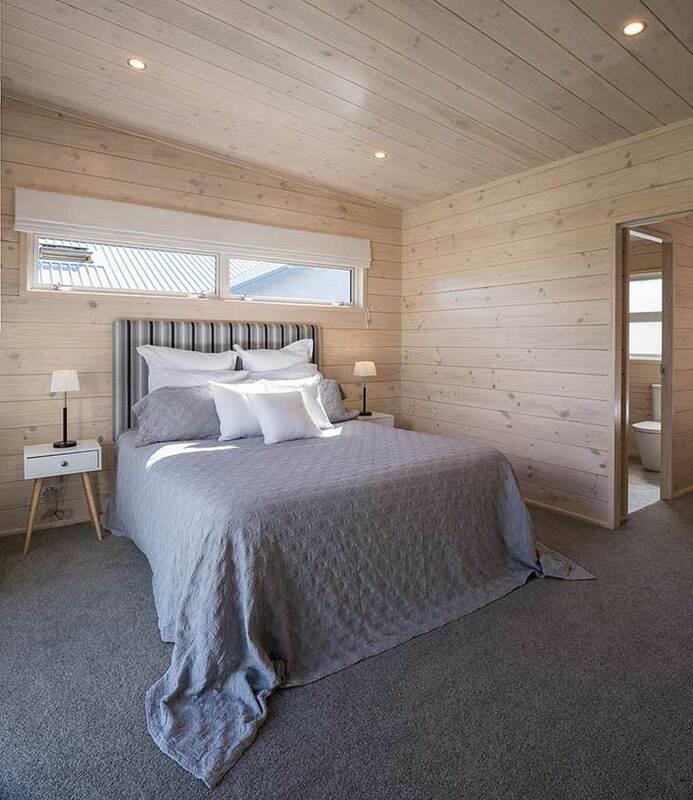 Over height white joinery featuring high spec tinted glass is set off perfectly with the darker VG Pine timber exterior, with all rooms opening onto extensive wrap around decks. 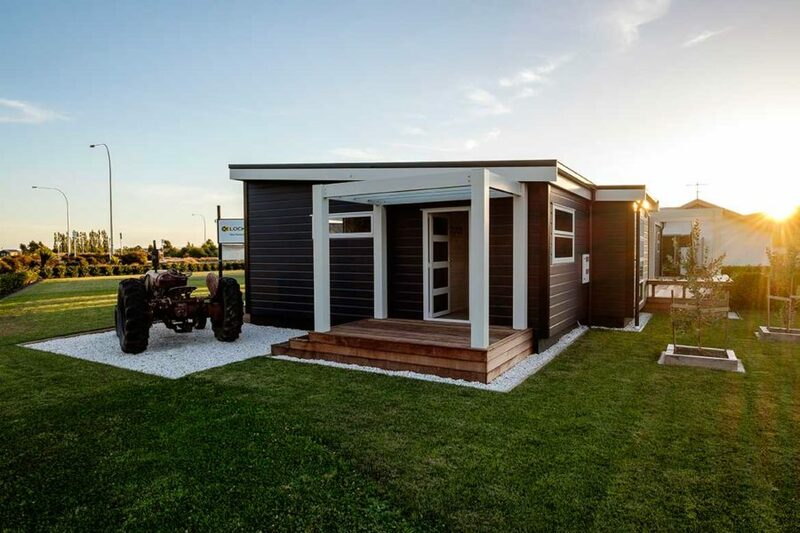 Picture yourself having breakfast out the front in the morning sun and a relaxing barbie out the back on a long summer night! 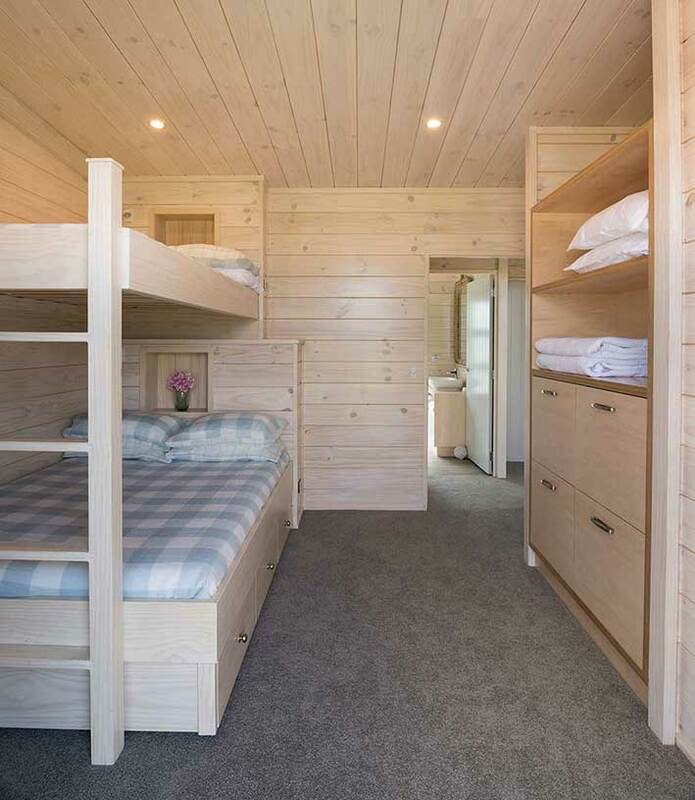 Coastwood Homes specialise in custom made bunk beds which they have included in bedroom two. 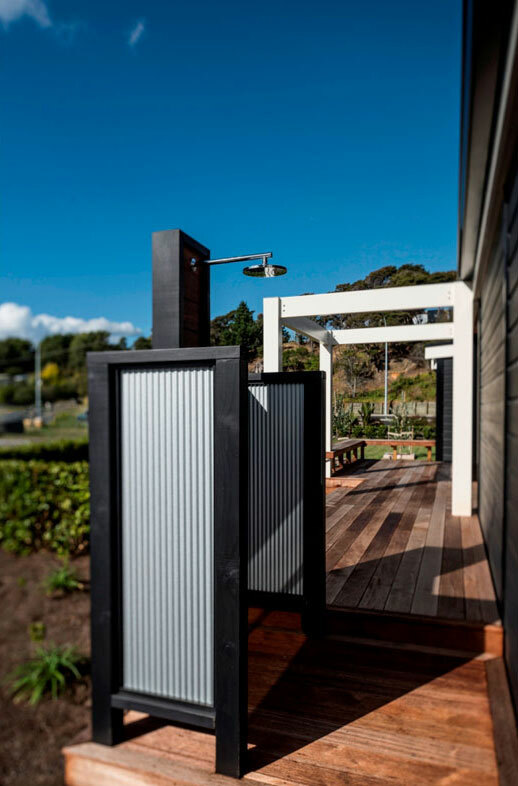 They have also added a great outdoor shower feature around the back too.